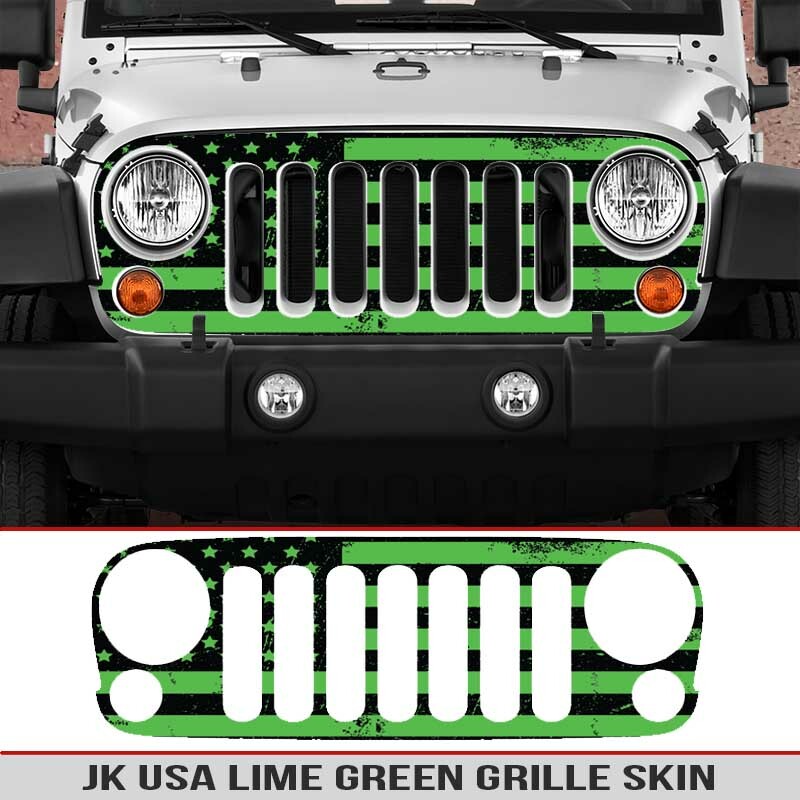 Distressed USA Jeep Wrangler JK 2006-2016 Grille Skin. 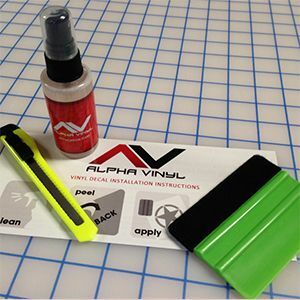 The decal comes fully printed on your choice of vinyl. 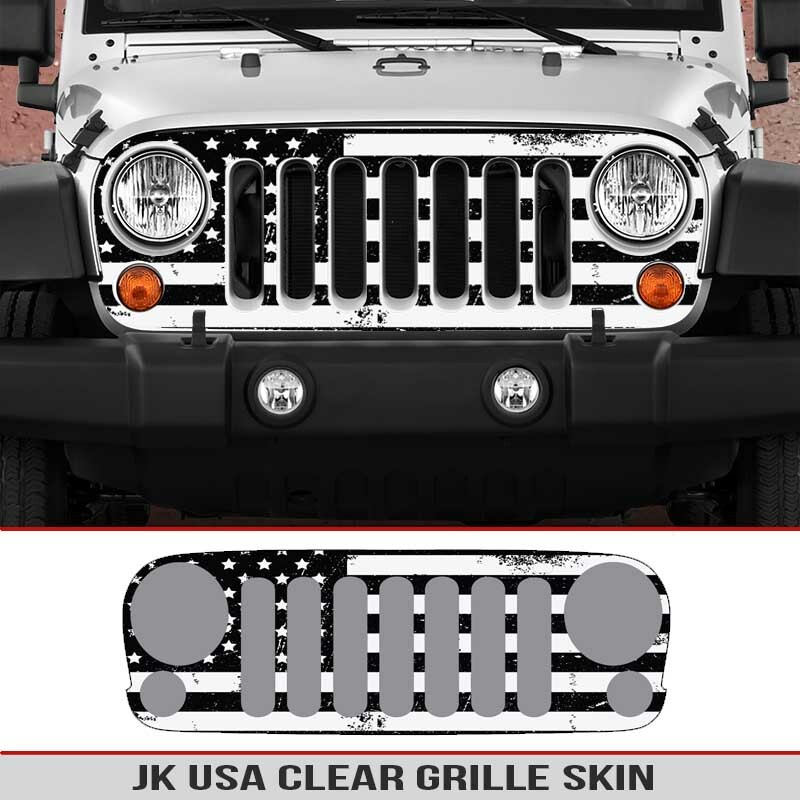 Jeep Grille Skins are made using high quality automotive grade vinyl using thermal printing that is rated to last up to 7 years of outdoor use. For dark paint colors such as Black: Please select any other color besides clear background, purchasing a clear on black will not be visible on the Black Jeeps. 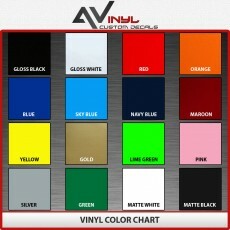 For all other paint colors except Black clear background vinyl will work great along with any other colors. 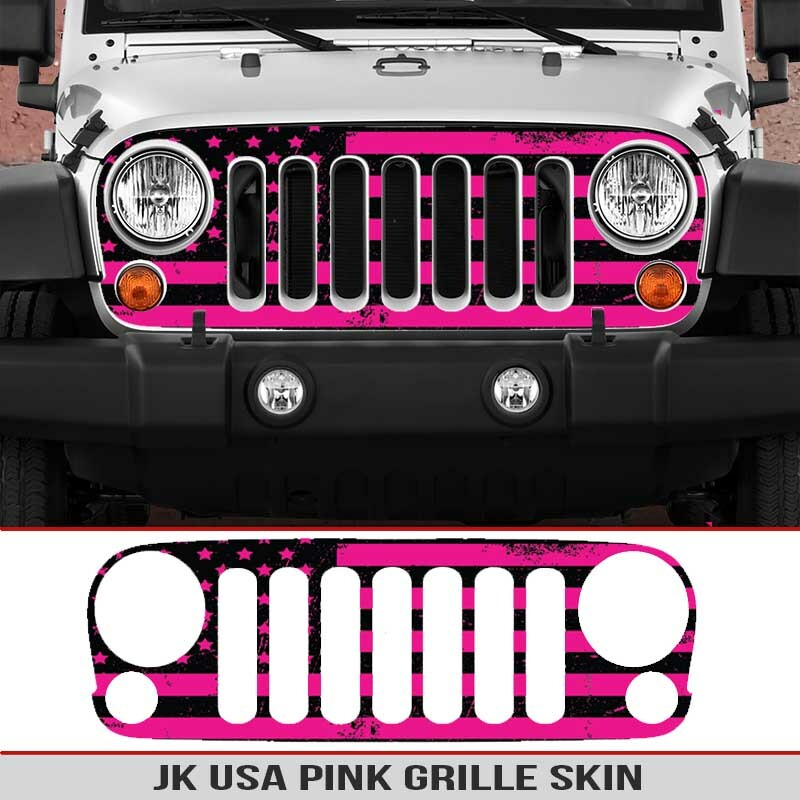 Show the world you are a proud American with this distressed USA Jeep Wrangler JK 2006-2016 Grille Skin. 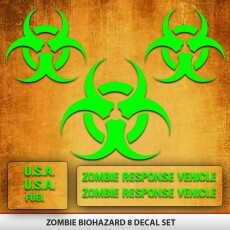 The decal comes fully printed on your choice of vinyl. 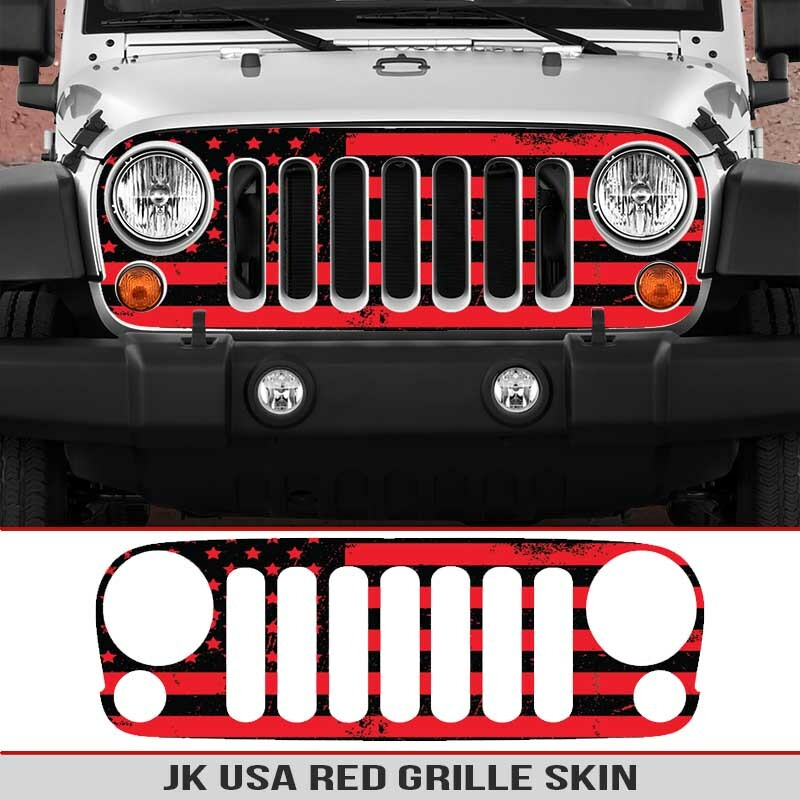 Jeep Grill Skins are made using high quality automotive grade vinyl using thermal printing that is rated to last up to 7 years of outdoor use. 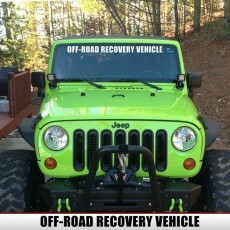 Bought this product with the intent of taking it some where to have it put on my Jeep Wrangler unlimited. After watching the install video thought it looked simple enough for my wife & i to do. I have to say we weren’t worried because they are so reasonably priced that if we screwed it up we’d just order another. In the end it came out pretty good, we were happy with the results. That being said, it definitely is not a professional job but still looks great. I’d upload a picture but there is no where on here to.